One of murder victim Sheri Coleman's best friends raised more than $30,000 for the construction of a memorial to Sheri Coleman and her slain sons in their hometown park. Meegan Turnbeaugh raised $30,229, as of Wednesday to build a pavilion in Bolm-Schuhkraft Park to honor murder victims Sheri Coleman, 31, and her sons, Garett, 11, and Gavin, 9, who were found strangled in their beds in their Columbia home May 5. Sheri Coleman's husband, Christopher Coleman, faces three counts of first-degree murder. "I am very happy with the amount of donations we have received thus far, and am very hopeful that we will get more donations to make this memorial a reality," Turnbeaugh said. "The community of Columbia and its surrounding areas have really stepped up and bonded together to help all of us move forward from this tragic event." At the center of the memorial pavilion is a wishing well, surrounded by three concentric rings with concrete steps 9, 11, and 31 feet in diameter, to symbolize each of the victim's ages. The largest ring is the start of brick pavers engraved with the names of loved ones in the community. Turnbeaugh, the former division manager of technology for Joyce Meyer Ministries who left in 2006, started the Web site www.sheriannherboys.com to keep the community apprised of fundraising efforts and events, such as a memorial ride that was held in August. Turnbeaugh met with the Play Commission for the City of Columbia and presented the memorial to them last week, showing members a drawing of the proposed memorial and an explanation of the symbolism. After Jan. 1, Turnbeaugh will meet with the project's architect, Killion Smith to compile a list of people who will volunteer labor and materials for the project and determine how much more money needs to be raised, she said. Christopher Coleman, the former personal bodyguard to Joyce Meyer, remains in the Monroe County Jail pending trial on the murder charges. Chicago lawyer Enrico Mirabelli, Sheri's cousin, and Belleville lawyer Jack Carey filed a wrongful death lawsuit on behalf of Sheri's mother, Angela DiCicco, and her brother, Mario Weiss, against Chris Coleman, initially naming Chris Coleman's father, Ron Coleman, and Joyce Meyer Ministries as a respondents in discovery. Mirabelli and Carey later sought to convert Joyce Meyer Ministries to a defendant. The hearing on that matter was delayed earlier this month to allow Carey time to recover from heart surgery. After the murders, Chris Coleman admitted to police he engaged in an extramarital affair with his wife's high school friend and Florida dog-track waitress, Tara Lintz. Police Chief Joe Edwards later testified the ministry didn't allow their employees to divorce. Chris Coleman could face the death penalty if convicted of murder. That is one true friend. What a wonderful thing to do. I am sure we can find a design on line of the planned memorial. Is there a web site showing the donation information and a planned design? 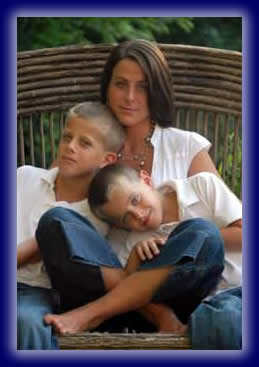 This website is dedicated to Sheri, Gavin and Garett. We are hoping to raise enough money to have picnic tables, benches, trees and flowers for this area as well. What an appropriate way to celebrate the life of Sheri, Gavin and Garett. What a wonderful website. I just finished looking at all the pictures. The kids were adorable and Sheri was so pretty. There is no death penalty in Illinois. If anyone deserves it, it is Chris Coleman! Wrap, most prisoners do not take well to child killers, he may end up with a knife in his back. You know, we have always said that most prisoners hate child killers, with more and more children being murdered every minute, of every day, you would think the prisons would start being so full of child killers that the inmates would get immune. Someone Like Coleman, that perpetrated this heinous crime, is an animal, he deserves to die. All for a girlfriend and not wanting to divorce. IMO if he had asked Sheri if she and the boys would rather spend the rest of their lives penniless or die instead so he could have everything, she would have said, "here, take everything, just leave me my boys". Guarantee Laci Peterson would have the exact same answer to Scott, given a choice. I just love that one pic of her with the boys. They look so happy!! it's a happy picture... that tells a sad story. 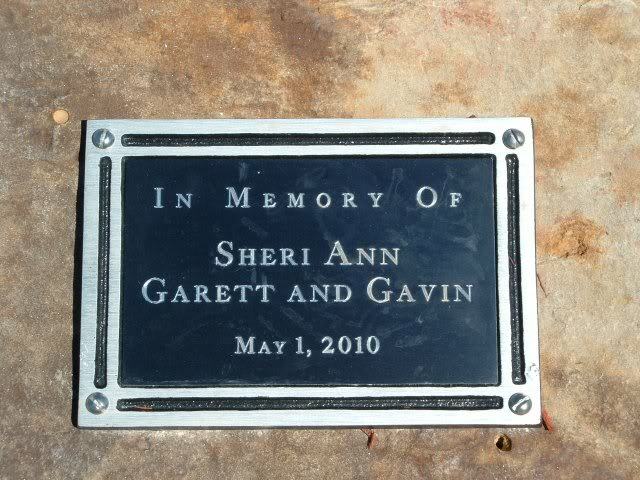 A small plaque on a memorial on the shores of a small lake in the Columbia Lakes Subdivision is in honor of Sheri Coleman and her sons, found murdered in their home on May 5, 2009. A year ago, the white frame, two-story house at 2854 Roberts Drive was a lot like other houses on it and surrounding streets in the Columbia Lakes Subdivision. Vehicles were parked in the driveway and kids played in the yard. Now, there are no cars in the driveway or kids playing in the yard. The front door is locked and the house is empty. The mailbox at the end of the driveway is tilted and askew. The grass is cut—although some subdivision residents say they don’t know who does it. The people who lived at 2854 Roberts Street are gone. 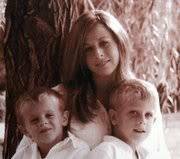 On May 5, 2009, Sheri Coleman, 31, and her two young sons, 11-year-old Garett, and nine-year-old Gavin, were found strangled and dead in their beds. Their father and Sheri's husband, Christopher Coleman, 32, stands accused of their brutal murders. He has pled not guilty on three murder charges. And a year later, the long shadow of the crime still lingers over the neighborhood. “It affects everyone,” said Penny Eplin, who stopped her car in front of the house on Tuesday morning. Eplin, who lives on nearby Corey Drive, said she hadn’t driven by the house since last year. She didn’t know the Colemans. But what happened inside the white house has affected her and her family. Eplin said her 18-year-old daughter slept with her for days after the murder was discovered because of fear. Even though she’s a college student, that unease remains. “To this day, she does not sleep with her bedroom door shut,” Eplin said. Eplin said she remembers seeing Christopher Coleman taking his sons to get haircuts the Saturday before their bodies were found. Eplin’s comments mirror what other neighbors said Tuesday. Subdivision and friends of the family have tried to find ways to heal the wounds from a case that will not go away soon. Christopher Coleman remains in jail awaiting trial in Waterloo, Ill. A pre-trial hearing in his criminal case is scheduled for May 14. The trial, which has been assigned to St. Clair County Circuit Judge Milton Wharton, will be held in Monroe County although jurors from other Illinois counties may be selected. But a trial date hasn’t been set through Aug. 30, Monroe County officials say because of continuances sought by defense attorneys. And Coleman also faces a wrongful suit filed by Sheri Coleman’s family in Monroe County Circuit Court. Earlier this year, a Monroe County Circuit Judge ruled on a motion dropping Joyce Meyer Ministries Inc. from the suit. But Jack Carey, a Belleville attorney representing the family, said the action doesn’t mean that a civil action will not be pursed against Joyce Meyer’s Ministries or Christopher Coleman’s father, Ronald Coleman. Joyce Meyer’s ministry, where Christopher Coleman worked as a security guard, was named a respondent-in-discovery. Ronald Coleman, also named as a respondent-in-discovery, is Christopher Coleman’s father. Carey said Tuesday that the family’s civil case could be stronger with the completion of Christopher Coleman’s criminal trial. More evidence will become available, said Carey, who said he will be an interested spectator when the trial begins. Even with completion of the criminal trial, the civil trial could last a long time. “I predict that we could be in court next year,” Carey said. For the subdivision, there is also the pending question of what happens to the house, which is in foreclosure. The house is scheduled to be auctioned off at 1 p.m. May 25 on the Monroe County Courthouse steps, says the county civil courts office. Some residents have discussed having the house torn down and the land, next to a small lake, made into a park. Regina Leveque, who lives across the street from the Coleman house, said she’s thought about that. She works nights and remembers being woken up by ambulances and police. “It’s quiet over here now, but people still remember,” Leveque said. “It’s not going to go away anytime soon. Susan Walla, a member of the subdivision board of trustees, said a lot of people would prefer that the house come down. Mothers in particular may not want to move into the house. “I don’t know a lot women who would want to move into the house,” Walla said. Interest in the home may be high from buyers looking for a high quality home at a low price. The area is zoned residential so there is at least some protection for the neighborhood from an exploitive owner, she said. Whether the house stays or goes, subdivision residents, many who said they didn’t know the Colemans said the neighborhood has changed. “I don’t think you’re ever going to get over it,” said Lucia Ryan, who often walks past the Coleman house on morning walks. She’s lived in the older part of the subdivision for 18 years and not near the house. But she said the case has affected her. Jennifer Eynon, who lives about a block away from the Coleman house, said she had to explain at the time what happened to her young daughter. She had played with one of the Coleman boys at a neighbor’s house. “But little kids sometimes can go on,” she said. 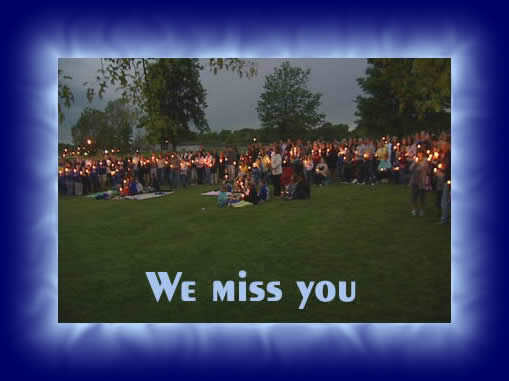 Meanwhile, the board and residents dedicated a small memorial along the lake on May 1 to Sheri and her two sons. Two benches sit along the shoreline of the lake, under a small tree with a rock with a simple plaque. “It’s a way toward closure," Walla said. A candlelight service is also scheduled for 7:45 p.m. Wednesday for Sheri Coleman and her sons at Bolm-Schuhkraft Park in Columbia. Meegan Turnbeaugh, a friend of Sheri Coleman, has been raising funds to build a pavilion honoring the family in Columbia. So far, Turnbeaugh has raised nearly $40,000 for the project, said her husband, Lonnie Turnbeaugh. He said Tuesday that they are working with Columbia city officials to find a location for the pavilion. Domestic violence is at the center of the event, said Elpin, who works for an agency in Monroe County that works with victims. Unlike her neighbors and daughters who were traumatized by the thought that the murders were committed by outsiders, Eplin said she immediately knew who did it. “Nobody from the outside came into our subdivision and harmed us,” she said. “If we were harmed it had to be one of us. Look at this subdivision, no one comes in here to murder a mother and two beautiful boys." It's hard to believe it's been a year since this happened. How horrible for the neighbors. I don't blame them for wanting the house to come down. Would any of us move into that house? I don't think so! It would be great if the house came down and a memorial was placed in that spot. As far as Christopher Coleman, it really pisses me off that this case is taking so long to go to trial. LE and FBI have the evidence to convict him. This case is a no brainer as far as guilt goes. And, I am not sure what Joyce Meyer or Christoper's father have to do with this. I know Christopher was Head of Security (talk about ironic and sick!) for JM Ministries so maybe they want her to testify along with CC's dad? All I've got to say is this is one sick SOB and it's a damned shame there is no DP in the State of Illinois!